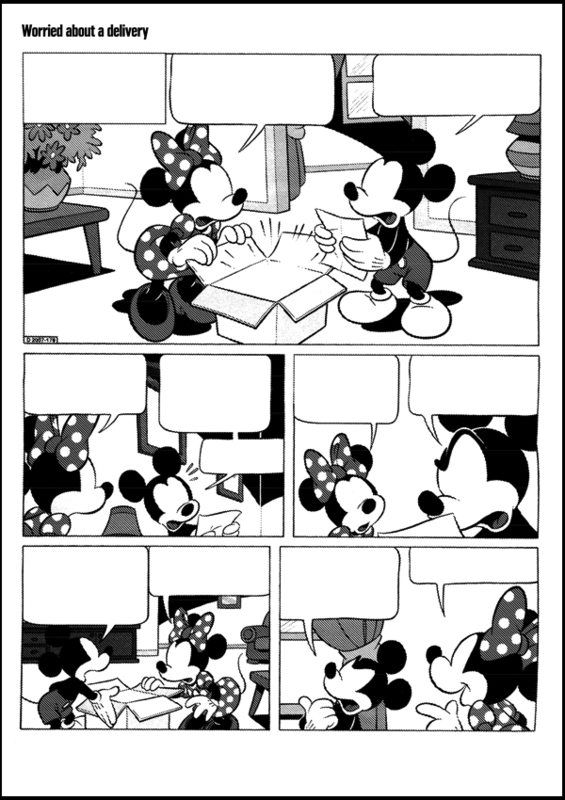 I ripped this page out off a Donald Duck magazine while waiting for some take-away Roti and later photoshopped away Minnie and Mickey's eyes and all other useful information... We needed something to hang in our studio shop window. I pasted together a bunch of A3 sheets — back in the day when my printer was still working!! !